Ultra-thin blades create less drag and increase speed, yielding more cuts per battery charge. 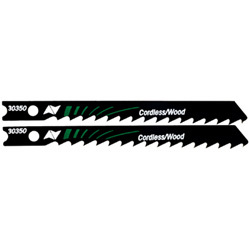 High carbon steel jig saw blades are precision filed and set for maximum cutting performance in ferrous and non-ferrous metals. Teeth are precision ground for fast, smooth cuts.